Cushioning gel foam, variable-stage encased coils, and added support where you need it most, for exceptional comfort and full-body support. Features • Cover - Fabric Durable knit fabric with spun yarns for a soft feel next to your body. • SealyComfort™ Foam - In the quilt and comfort layer, high quality foam ranging from extra soft to super soft for a choice of comfort preferences. • SealyComfort™ Gel Foam* - A layer of gel-infused foam for body-conforming comfort you can feel. • Sealy Embrace™ Coil - Hourglass shape with variable-stage design for a smooth transition from the soft and conforming top to the firmer more supportive bottom. Encased to allow each coil to move independently, for more targeted support and reduced motion transfer. 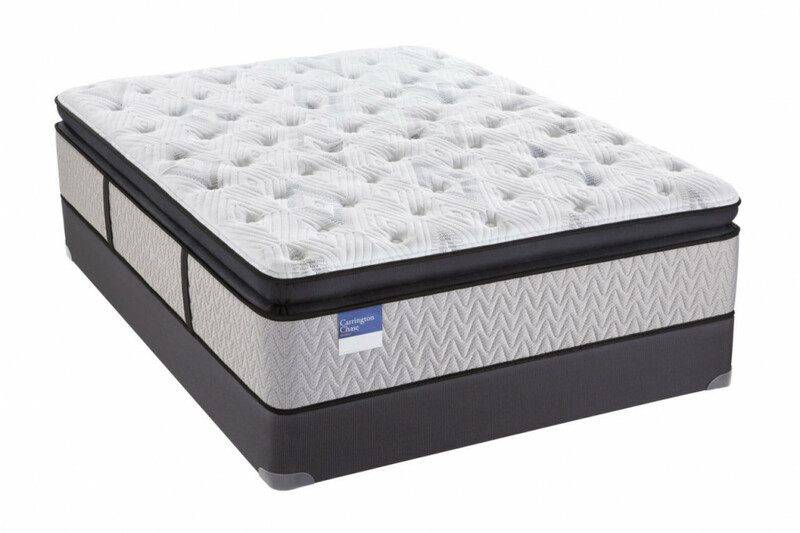 • CoreSupport™ Center - Our exclusive feature, with reinforced SealyComfort™ Gel Foam in the center third for added support and durability where you need it most. • StableEdge System - High-density, flexible border surrounding the mattress for better edge support, more usable sleeping surface and improved durability. • Vertical Side Handles - Durable handles along the side of the mattress to allow easy movement. • Designed and built in the U.S. • 10 Year Limited Warranty Adjustable base compatible.